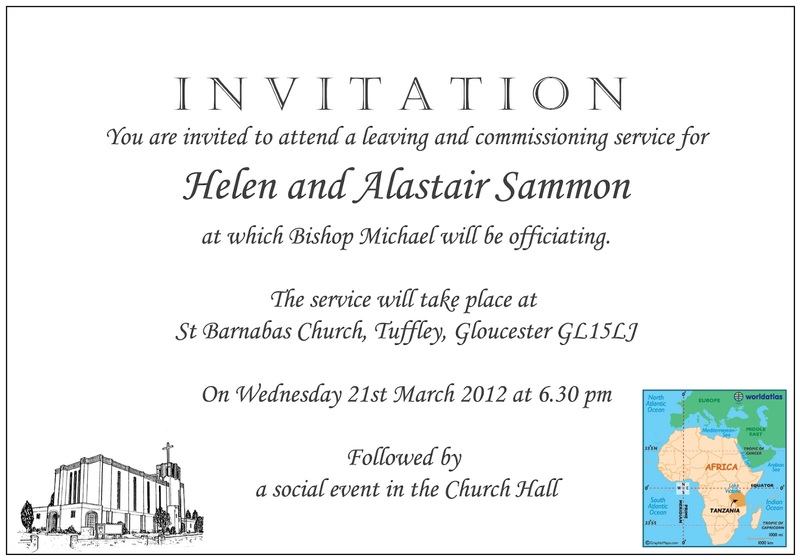 Our service of leaving and commissioning ( as Diocesan Mission Partners) is on Wednesday 21st March at 6.30pm in St Barnabas - everyone's welcome and it would be great to see you and share in worship and prayer at that service. It will be led by Bishop Michael with some gutsy stuff about laying on of hands, anointing etc...There's a Church Hall do afterwards to which you're invited as well of course. Then we have the furniture removers on Thursday morning - all our stuff is going into store - and we prepare to fly on the Saturday.